In large microwavable bowl, place potatoes and water. Cover; microwave on High 8 to 10 minutes or just until potatoes are tender. Drain. Stir in chives, butter, salt and pepper. Refrigerate uncovered 10 minutes. In small bowl, mix sour cream, mayonnaise and milk. 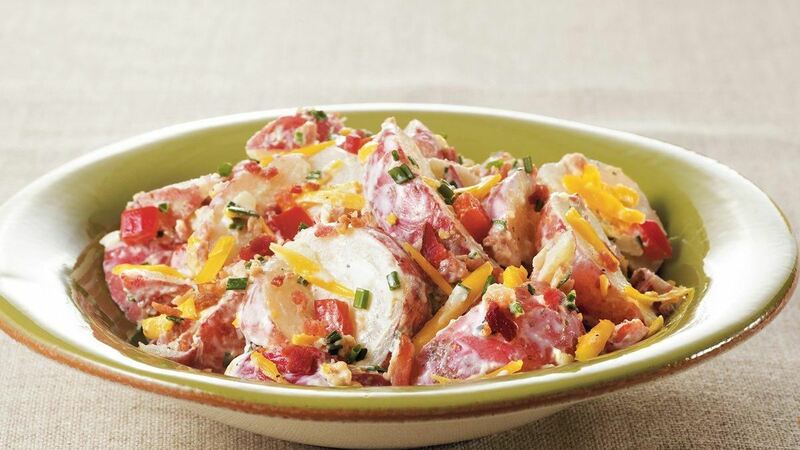 Stir sour cream mixture, bacon, bell pepper and cheese into potatoes. Serve immediately, or cover and refrigerate until serving time.